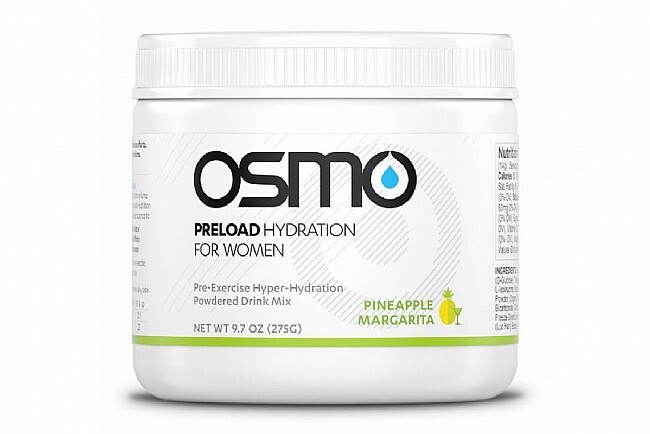 Osmo Women's PreLoad Hydration is scientifically formulated to maximize body water and blood plasma levels to allow for the best performance possible during hot-weather or high-effort events. Its specific blend of two sodium compounds along with branched-chain amino acids is based on peer-reviewed research in order to expand blood plasma volume, increase available body water, and reduce the negative effects on performance caused by higher progesterone hormone levels in women. This "hyper-hydrator" is best used the night before and / or the morning of the targeted event to improve the body's thermoregulation and to better stave off cramping during activity.